If you preach that people are completely forgiven and are forever under grace, won’t that give people a license to sin? That is a great question! Now, let’s make one thing crystal clear, I am completely against sin! The truth is people sin all the time. The problem is not, “Grace,” the problem is that sin has dominion over them, and they cannot escape the prison of sin! Grace is not a license to sin. People drive cars without licenses, and people sin whether they have a license or not, so it is not grace that is the problem. The problem is the power of sin. The new Batman movie The Dark Knight Rises is about a man named Bane. Bane is an extremely strong man, so let’s use Bane as, “Sin” and Batman as, “us.” If we are trying to defeat Bane, we need to defeat his Power! Bane’s power is his muscle, so if we can make him weak and fragile then we can defeat him. The same thing goes with sin; if we eliminate the Power, sin is a lot weaker and we sin less. So how do we stop the power of sin? The Bible is so clear. According to 1 Corinthians 15:56, the power of sin is the law. It is as if, sin is a person and the law is the muscle of the person. 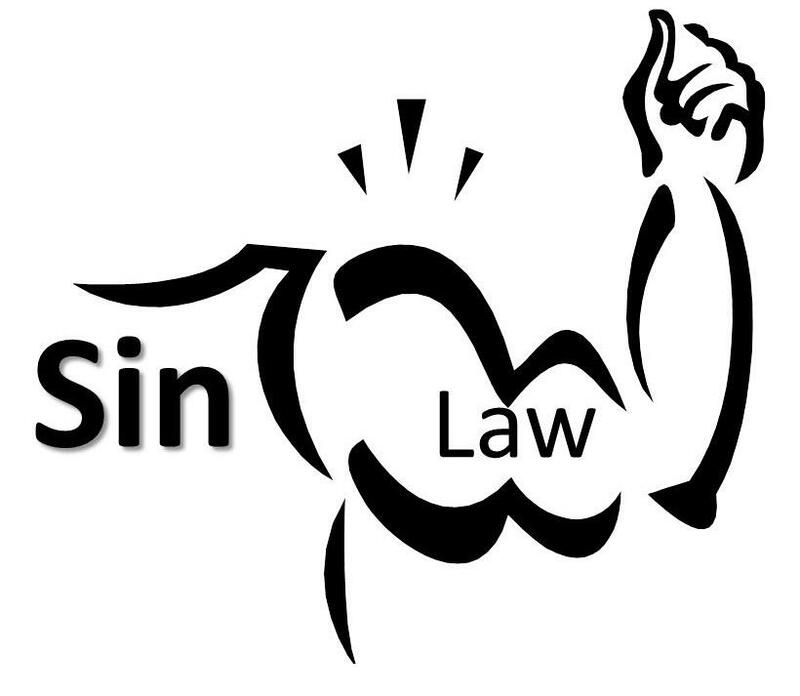 Today, Christians are in a boxing ring trying to defeat sin; while, sin is overpowering the Christian with its muscle. Just eliminate the power of sin, and you will win more boxing fights! Hallelujah! A man who chooses to live in adultery saying, “it’s okay, we’re under grace” is still under the law. He is (quite obviously) under the power of sin, and he has not realized he has been made right with God. Some pastors think, “Oh man, I can’t preach grace or else people will have a license to sin.” When, they are already in the church! Those pastors are preaching the law and giving people the power of sin! Because you are no longer under the law, sin shall no longer control you! Notice it does not say because of Grace Sin shall no longer control you, but it says the law keeps you in sin. Grace is not the problem, but it is THE ANSWER! People leave the church (organization) not because they are demonic, but because they give up! They can’t keep the law so why try. But, if the true gospel is preached people’s lives will be radically changed!In the end, people sin because they are trying to keep the law. It is easier to sin against two cold rocks then to sin against a man who gave his life for you! If they only accepted the grace message, they would be released from the power of sin! I love this post because I think some people can view grace as a license to sin. We can use the excuse that “we are only human” as a way to excuse the stuff we do that is wrong. Conversely, we can’t be too hard on ourselves for sure, but I think people do use Grace as a “Get Out of Jail Free” card and may not even realize it. That’s is some truth right there my friend! I like what you said about how many times we use that excuse that, “We are only human.” And this causes a distorted view of what Christ has done for us. He has made us righteous, so instead of seeing ourselves as failures, we should see ourselves as right with God. Nothing makes a man live above sin like GRACE… Grace is the only cure for sin not the law. I just keep wondering why so many misunderstand Grace.